Welcome to Kolea 9A! 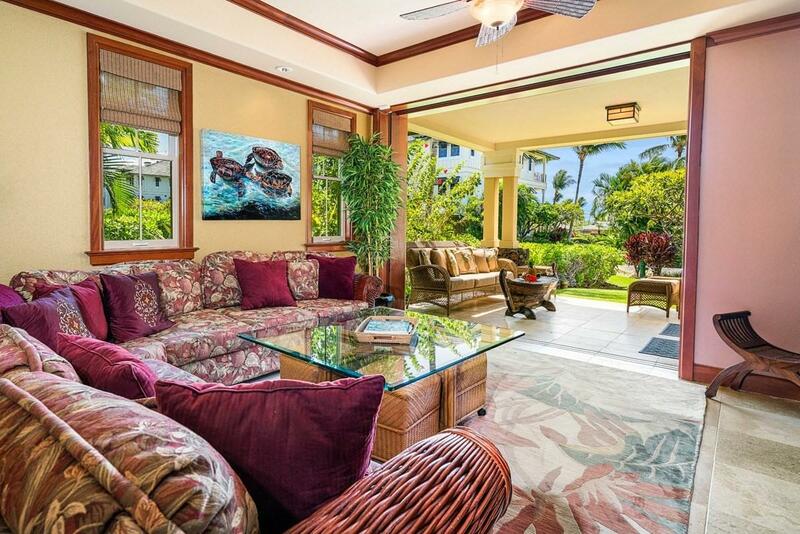 First time on the market for this garden villa, which is located just steps from the Beach Club at Kolea and Anaeho'omalu Bay on the Kohala Coast of the Big Island of Hawaii. There are only 10 units in the complex which are configured in the 3 bedroom 2 bath, 1554 SF floor plan at Kolea, and these units are rarely available for sale. 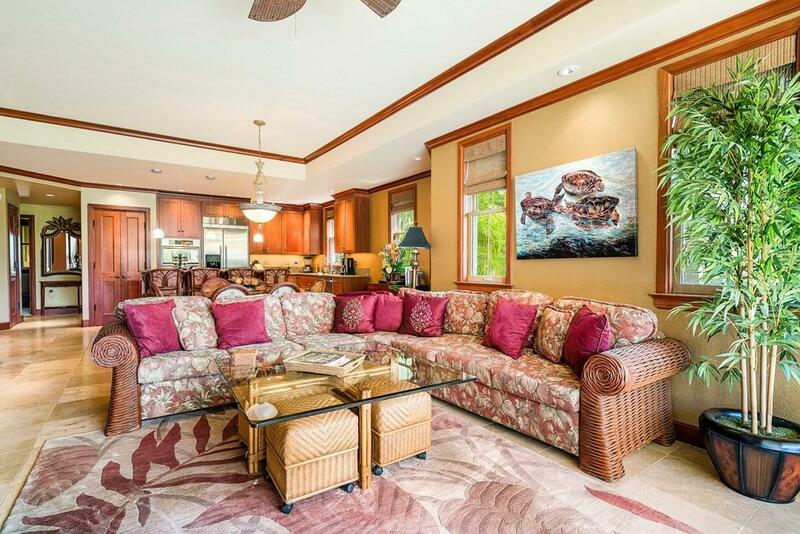 9A is beautifully furnished and appointed utilizing a traditional Hawaiian theme along with an Asian flair. 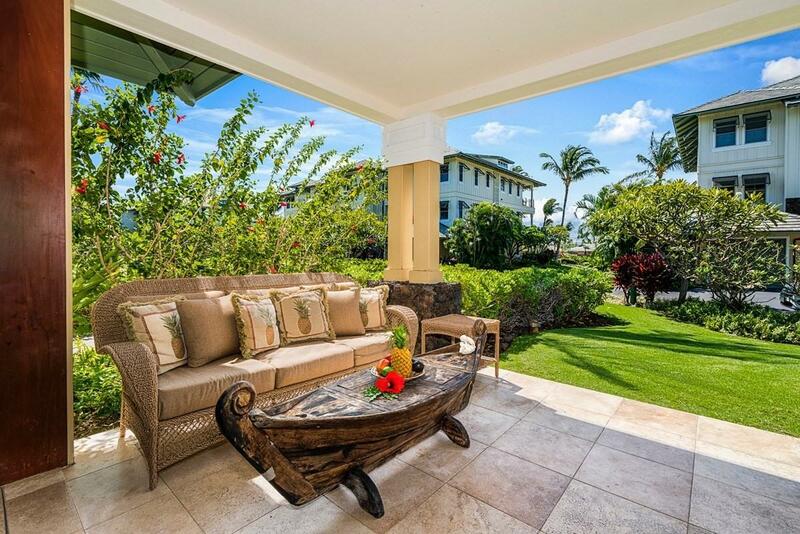 The property is currently a successful vacation rental with an established clientele. The property features steel frame construction, an outdoor kitchen, 9' retractable pocket doors, African mahogany trim, granite counter tops, stone floors in the great room, and upscale appliances, custom paint, and carefully chosen art and decorative items. 9A was professionally decorated and has a sophisticated yet relaxed feel. Kolea is the only beach front community located within the Waikoloa Beach Resort. 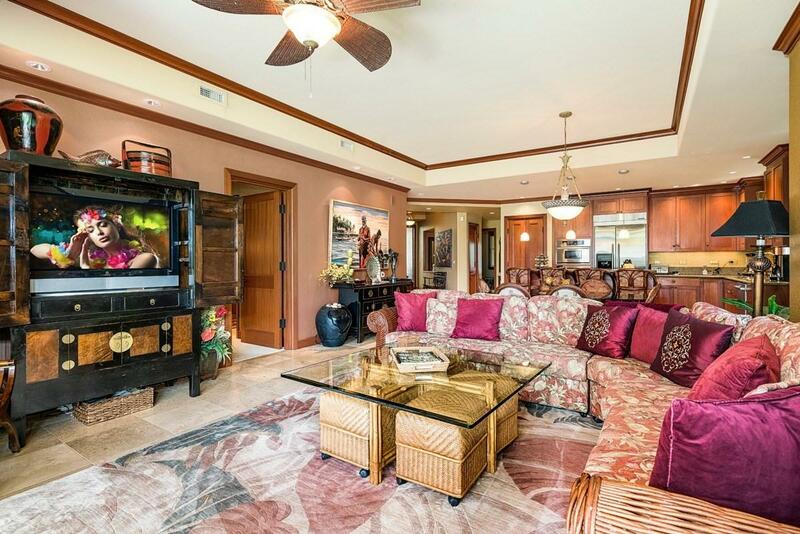 Within walking distance is world class golf, shopping, dining, and entertainment. The Beach Club offers a workout facility, infinity pool, a children's wading area, and two guest hales. The guest hales are an exclusive feature of Kolea, and offer residents a convenient and inexpensive option for accommodating extra guests. Just outside the gated Beach Club is the "A-Bay" with its sandy beach and numerous opportunities for water related activities. Kolea is a family friendly place, and has been ranked among the top developments in Hawaii by several travel publications. Come live your dreams today!